The Secret Diary of Steve Jobs : Bono to join Roger McNamee’s band. Jaysus! Bono to join Roger McNamee’s band. Jaysus! Just heard from Bono. Not only is he investing alongside Roger McNamee in their private equity company, Elevation Partners, but now Bono says he’s joining Moonalice, the band that McNamee and his wife have assembled with G.E. Smith (ex Saturday Night Live)and Jack Casady and Pete Sears (ex Jefferson Starship and Hot Tuna) and longtime pros Barry Sless and Jimmy Sanchez. See their website here. 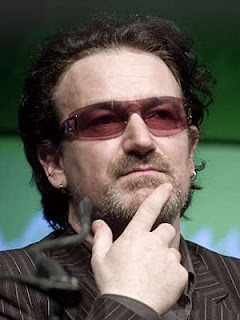 “Look, I fookin hate hippie music, but the money was just too fookin good to turn down,” Bono says. » Jaysus! Howja make a fookin phone call with this fookin thing?